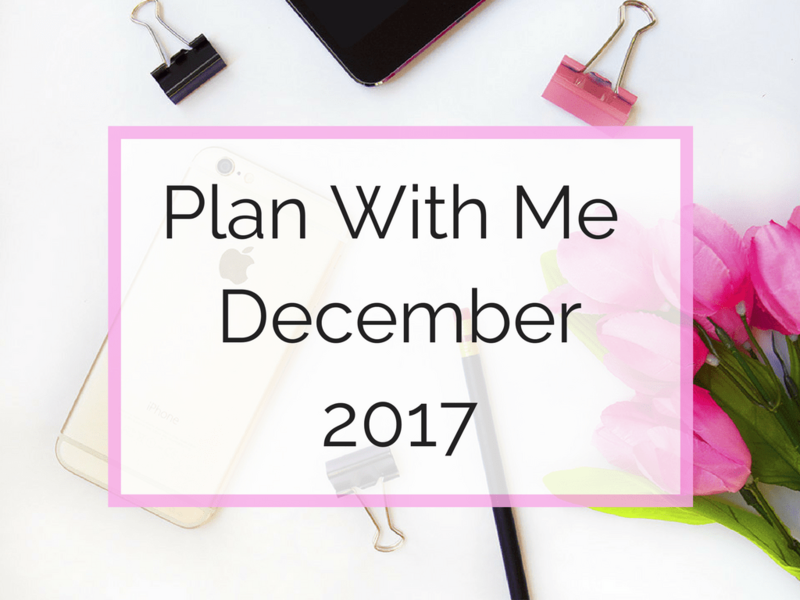 I’ve set up for December already, and it is much the same as last month. Lets take a closer look…..
Christmas in NZ occurs during summer so instead a wintry themed December welcome page, I wanted to have something that represented a NZ Christmas. So here I used my watercolour paints and painted a Pohutakawa tree. 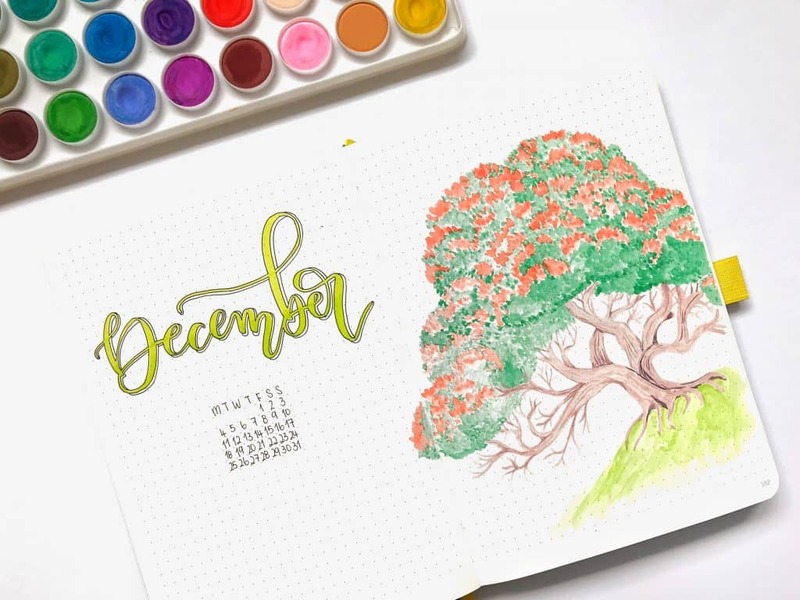 I also used Tombows to create the December heading and made it pop out by adding a drop shadow. 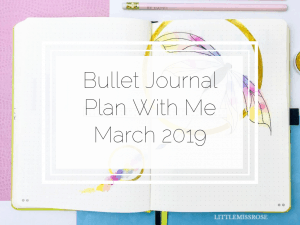 For my Monthly Log I went with the original Bullet Journal layout, with the dates down one side of the page. 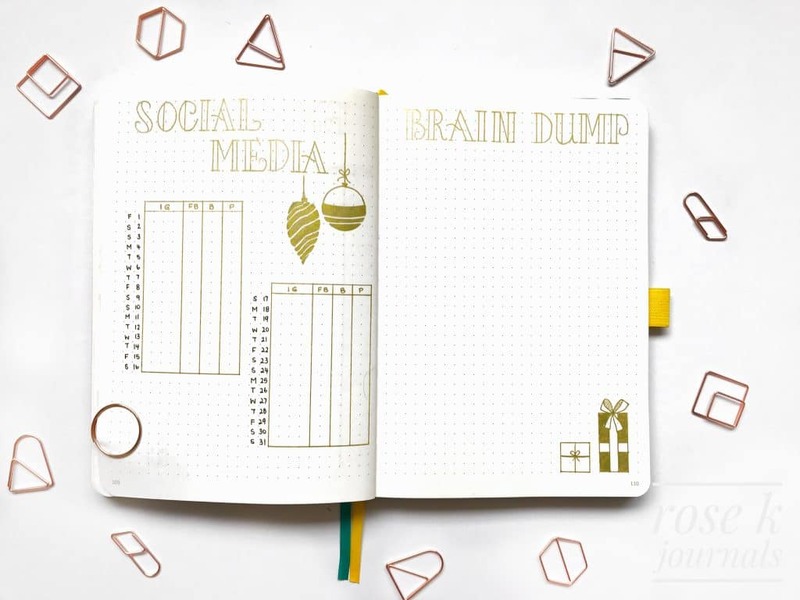 I decorated the facing page by drawing Christmas baubles with a gold metallic pen. 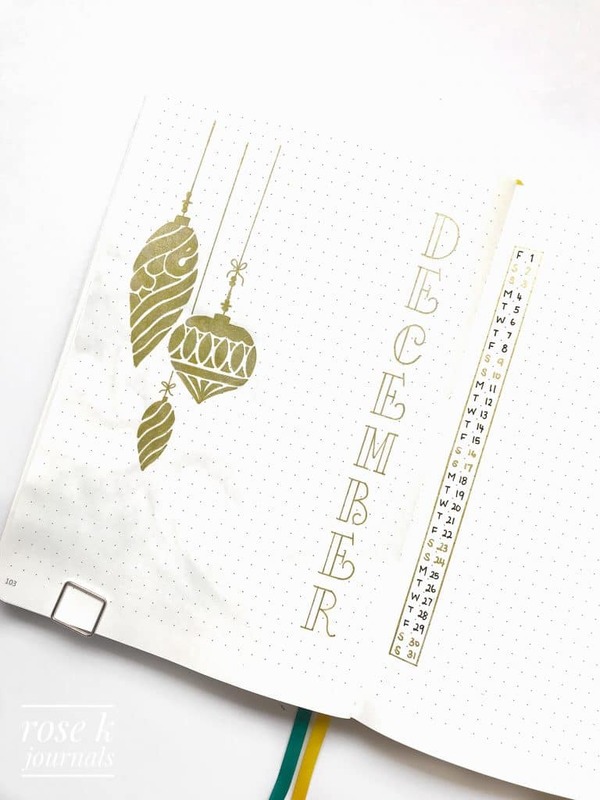 The font I used for “December” was something that I found and copied from pinterest. 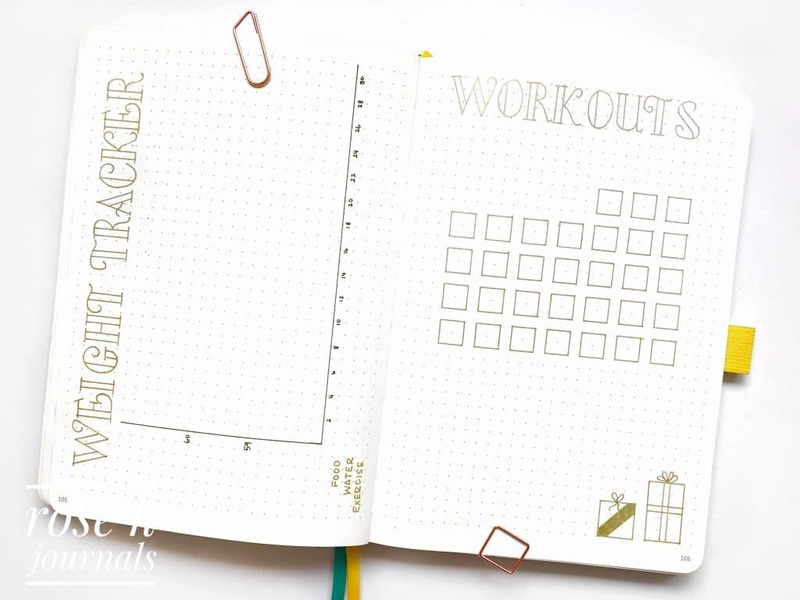 As usual I have my weight and workout trackers. 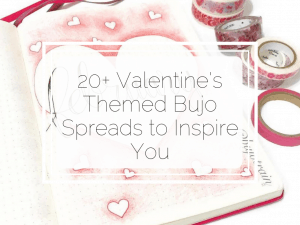 I’m starting to find that I’m not very good at completing these towards the end of the month and therefore not as useful anymore so I will look at changing these in the future. 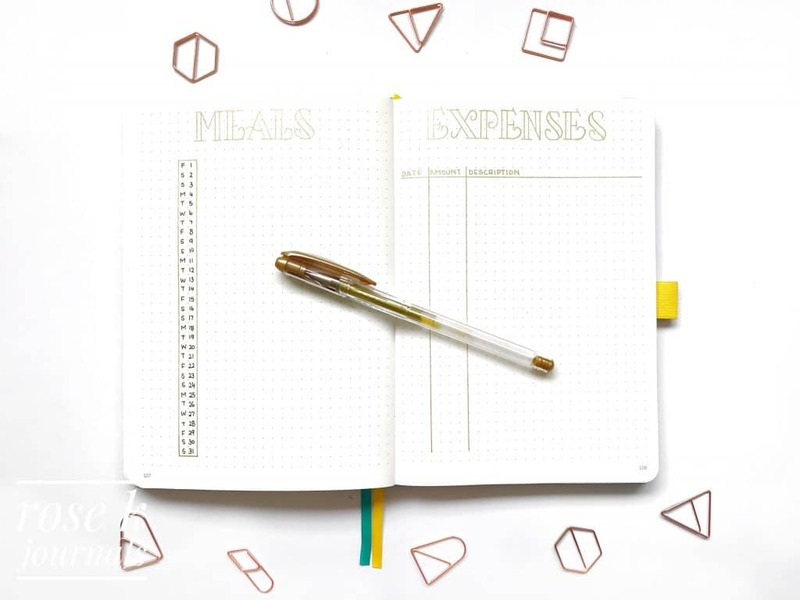 Here is my meal tracker to note down our evening meals and also my monthly expense tracker which I use to track my own personal expenses. 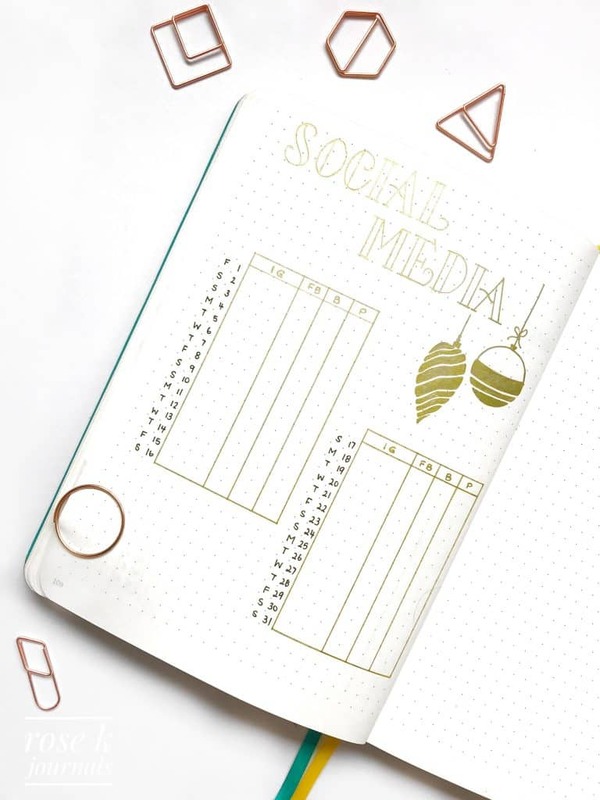 This is my monthly social media tracker. I like to track numbers, but I don’t tend to do this everyday. Mostly when I have time in the morning. It keeps me motivated to keep posting on all the forums I use. 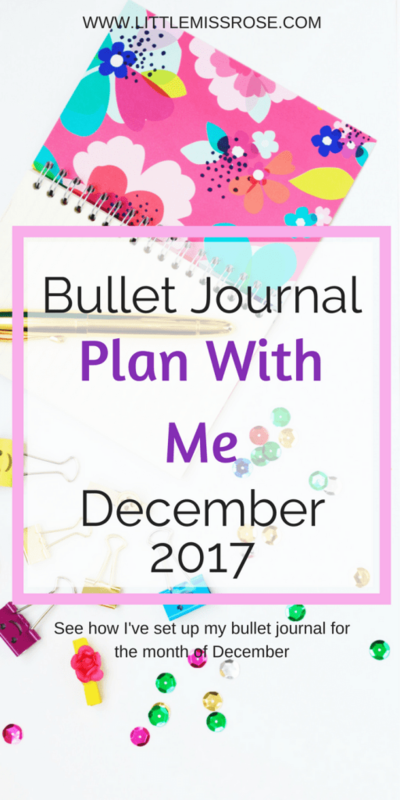 I also have completed a brain dump again as a place for me to jot down and thoughts or ideas I have during the month. And that’s it for December! 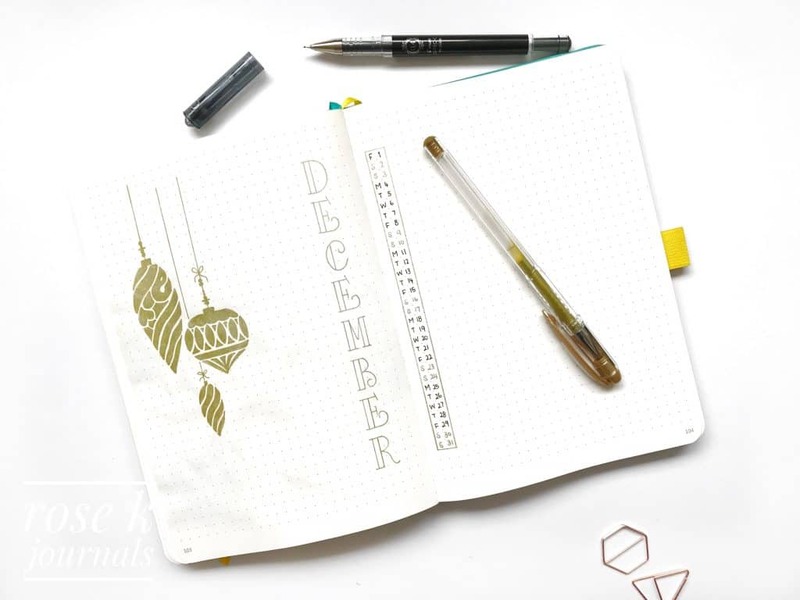 I’ve kept it to the bare minimum again this month and decorated all my pages with a gold metallic pen. Sadly you can’t see the shimmer of it in these photos but I love the effect it has on my pages. 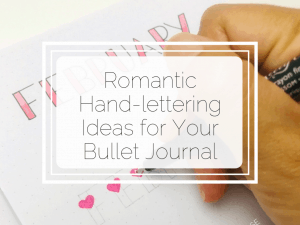 I hope this post has given you some new ideas for your bullet journal! 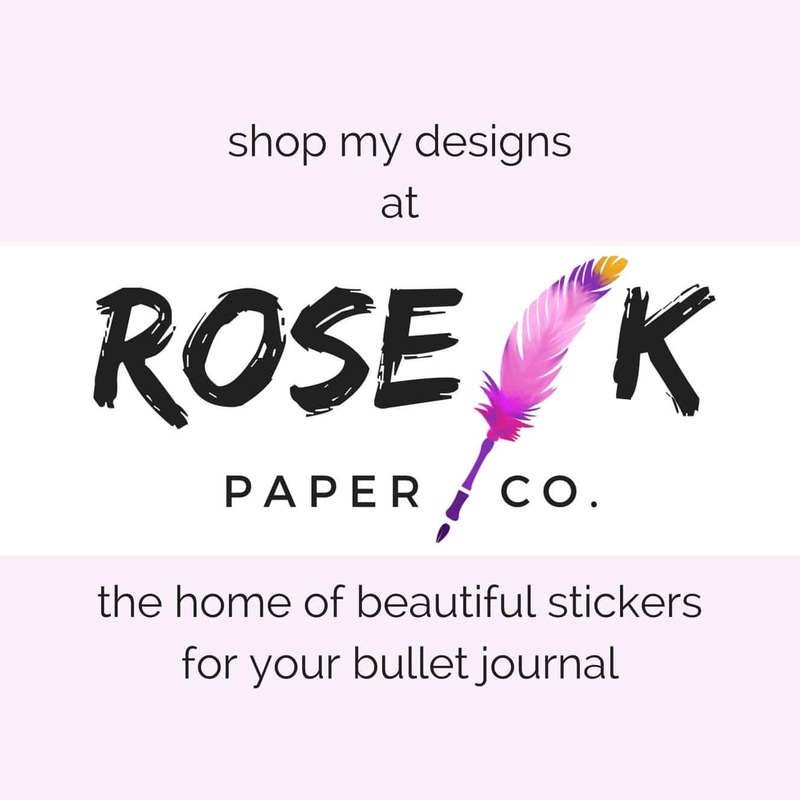 Let me know if it has, just leave a comment below!